Achieve your independence by helping others achieve theirs. A Business Opportunity Like No Other! If you want to take control of your future by doing what you love best, it’s time to talk to consider a Back Home Safely franchise. The National Institute for Aging estimates there are 16 million seniors currently reported to have at least one disability. These numbers are estimated to increase dramatically as the US population over 65 grows during the next two decades. Disability, age related or otherwise, creates challenges to independent living. Simply getting around the home and performing activities of daily living can be difficult and seemingly impossible. These individuals and their families desire to live in their own homes despite their limitations and obstacles; they need your help! Many people dream of being their own boss and all the benefits that come along with it. 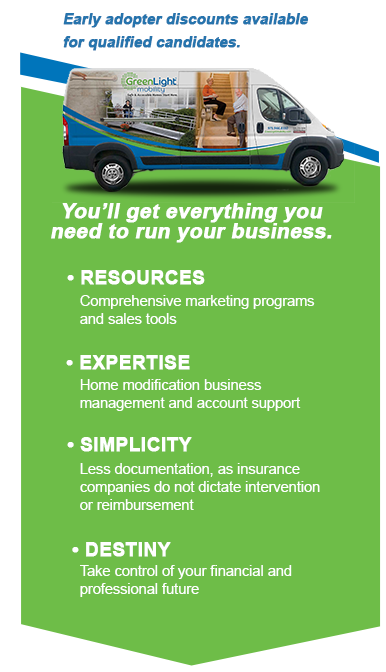 With a Back Home Safely Franchise you will also enjoy helping others who often have nowhere else to turn. With our extensive background in Occupational and Physical Therapy as well as construction and mobility products, we will help you find the right answer for each and every customer regardless of how unique their challenges may be. It’s more affordable than you think. There are no expensive long term retail leases to sign and you won’t carry extensive inventories of products. You can run the business from your home with a small warehouse for products. The total initial investment to start is a fraction of what many other business concepts require, and yet the financial potential is virtually limitless. Back Home Safely founders are licensed Occupational and Physical Therapists with decades of experience. Almost 10 years ago, practicing therapists Karen and Gregg Frank found themselves frustrated with the lack of products, solutions and tools to help their clients successfully navigate life at home. Their OT and PT education, training and experience helped them understand exactly what their customers needed, but finding a company to implement their solutions didn’t exist. Our founders, like so many successful entrepreneurs before them, launched this business because of an unfulfilled need in the marketplace, and they didn’t even go on Shark Tank! And since they launched in 2008 their business has grown, every single year! Co-Founder Kathleen Kuhn, CFE has helped over 500 business owners achieve their financial independence through business ownership over her 30 + year career in franchising. Kathleen’s knows precisely what it takes to support business owners in every level of development from start up to succession. Running a small business is different from supporting a franchise owner. 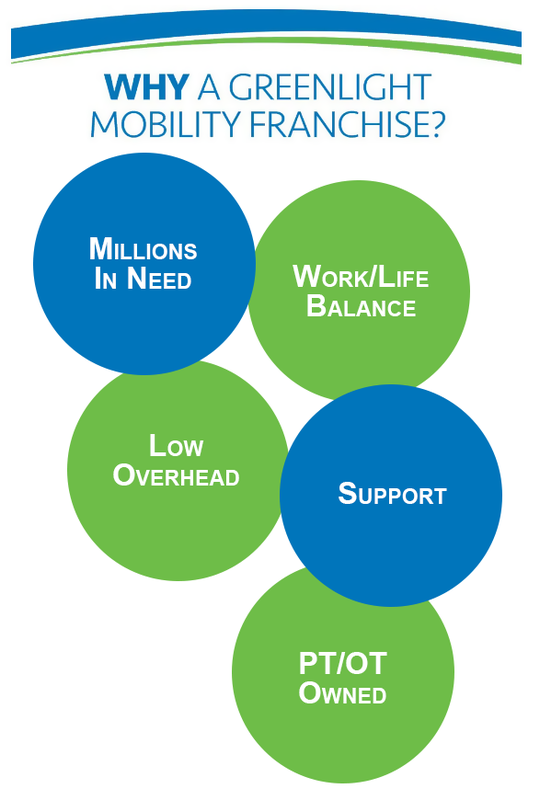 In addition to our home modification experience, our co-founder Kathleen Kuhn brings over 30 years of franchise leadership and know-how in creating successful business owners and quality franchise owner support. Back Home Safely provides our business owners with the tools they need to succeed and the answers to even their most challenging questions. We are dedicated to two core principles: our owner’s success and providing exactly what our customers need to live as independently as possible in their own homes. When we support our owners in supporting their clients, we all benefit. And the level of support is just getting started! A Back Home Safely franchise will require hard work and perseverance, as would any business, but the Back Home Safely business model offers flexibility to enjoy time with family and other personal interests. Unlike many business opportunities that require you to be open around the clock, generally our services are performed during regular business hours. A rewarding business that allows you to enjoy the benefits of your hard work. Go Ahead. Take Your Next Step: Click on the Button for More Info!